t bite down on un-popped popcorn kernels and eat healthy food. These are the keys to having a healthy mouth and happy smile. t treat problems the right way when they first appear. t properly care for your mouth. 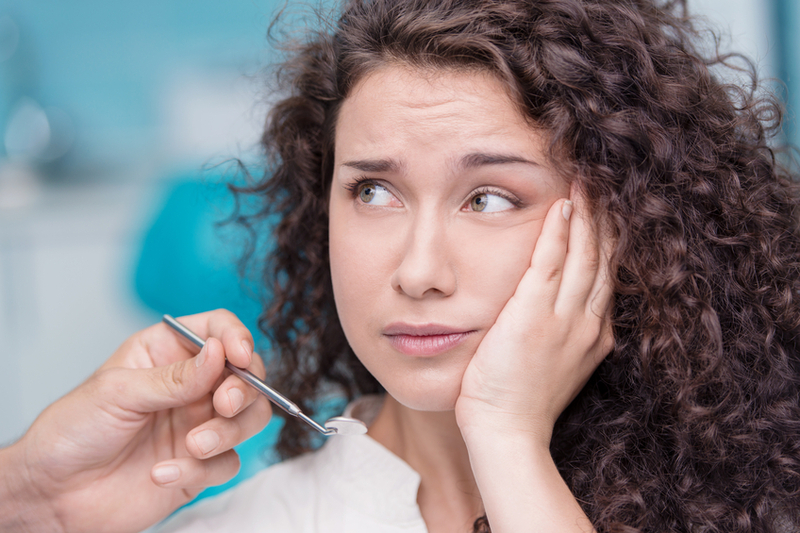 People in the medical community call it gingivitis, but you might know it by its more common moniker: early gum disease. It happens when bacteria make their homes in the crevices at your gum line or slightly below it. When this happens, two things occur. s a good chance your gums bleed when you floss and brush. And you are not alone. According to the American Academy of Periodontology, between 50 and 90 percent of all adults have gingivitis, which leads to periodontal disease. When bacteria collects on your teeth, it can lead to gingivitis, which causes your gums to swell and bleed when you brush and floss. If left untreated, gingivitis can quickly turn into periodontal disease, a much more serious health concern that (as you will soon read about) has been linked to health problems that go well beyond your mouth. if you see your dentist on a regular basis and have it taken care of early on. Either way, taking care of your mouth is wise. Many people with diabetes have found that their symptoms are reduced once their periodontal disease is properly treated. Chronic obstructive pulmonary disease (COPD) is not limited to people who smoke. Periodontal disease has been linked to COPD and pneumonia, according to a study published in the Journal of Periodontology. Researchers think that some people develop COPD after bacteria from their mouths are inhaled into their lungs, causing airways to become inflamed. t suffer from gum disease? t exactly clear why. One theory is that the bacteria in your gums and mouth somehow enters your blood stream and attaches to fatty plaque. This can cause inflammation of your blood vessels and blood clots, both of which can lead to a heart attack. s good for your overall health. t hesitate to contact us today!